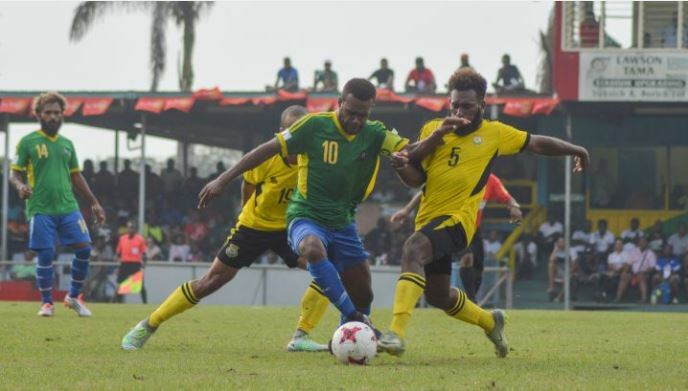 Solomon Islands national team set to play host to Vanuatu on home soil in both countries first international friendly match for 2019 at Lawson Tama Stadium on Monday 18 March in Honiara, Solomon Islands. This will be the 23 meeting between the two countries which dated back to the South Pacific Mini Games in 1981 in a match Solomon Islands won 2-1 in Honiara at the old Lawson Tama ground. Last time the two means play at Lawson Tama was a stalemate in an international friendly in 2017. Solomon Islands have the upper hand in the head-to-head record with 13 wins, 5 draws and Vanuatu won 5 matches to date. Both Melanesian nations recent clash was in the 2017 Pacific Mini Games which Vanuatu edged the Solomons 3-2 in the gold medal match in Port Vila. Solomon Islands coach Moses Toata said his team is beaming with confidence ahead of the first of the two international friendlies line-up for this forthcoming FIFA international break. “At the moment we are in camp, the spirit in the camp is quite high, everybody is looking forward to Monday’s game against Vanuatu,” he said. Toata confirmed Micah Lea’alafa will be teaming up with the national side on Monday upon his arrival few hours before kick-off. Veteran striker and captain Benjamin Totori is once again proud to lead the national side on home soil. “For me as a captain it’s always an honour to represent the country and to lead the boys,” the Lautoka forward said. “We are ready, we have a good set of boys, a well balance team. For me to play in front of our home crowd we just need to do things right and the pressure is there but the thing is how we handle the pressure in the first minutes of the game. “I know the boys have represented the country before, they are big players and we have some few new ones but like I said, we the senior ones to help them out. Vanuatu has had appointed a new head coach last month in the form of Paul Munster to lead the national team. Just a month into the job, Munster said he will be using the friendly to assess his players. “Just when I arrived they had the OFC competition coming up and actually Jason was in the game, so trying to watch as many games as possible, OFC games and the local leagues, watched 8 or 9 games before I could announced the squad,” he said. “Some players I knew about, obviously doing some research but as a coach you need to be looking on your own eyes to see what players you could see. “So short period of time, the players who are coming here they have to impress to stay in the team because I know there are more players that we haven’t brought here that will be competing for the first team, so it’s competition but the players, lots of young lads coming here also for the experience. “Just getting everyone together, getting the good feeling, you know it’s international football, it’s not every week, it’s when you have the time to have it, you have to get the team as quick as possible. The Irish man is anticipating a good game of football against the hosts. “We are hoping it will be a good game for both teams tomorrow,” he added. “It’s going to be exciting, for me it’s going to be more assessing the players to see how they are, can they play at this level, it’s all about competition and especially for the young lads it’s about getting that experience. Vanuatu captain and former Solomon Warriors defender Jason Thomas echoed the same sentiments of his coach. “Last time we played the Solomon Islands here we had most old players and as the coach said now we come back with lots of young players as well,” he said.